Marvel Preview: Ms. Marvel (2015-) #38 – AiPT! MS. MARVEL marks five incredible years on the stands! 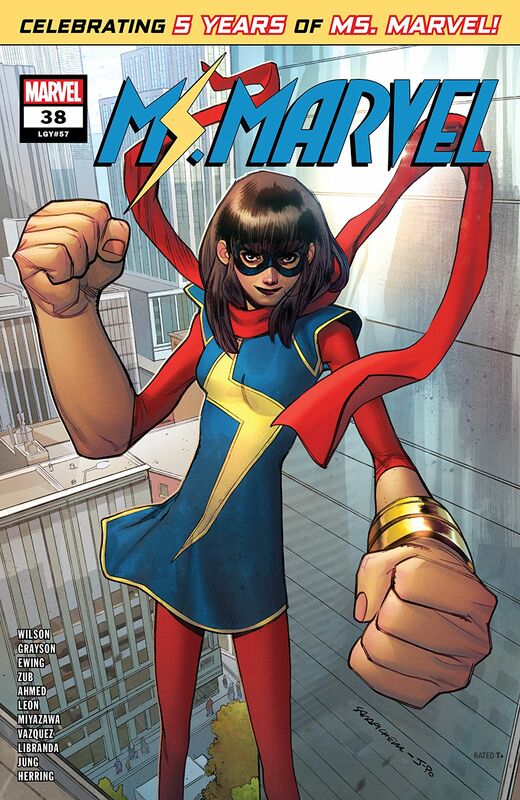 MS. MARVEL marks five incredible years on the stands! Take a deep dive into Kamala’s Jersey City with Bruno, Nakia, Zoe and more in this jam-packed celebration of Ms. Marvel and her amazing friends!